When people consider learning English they often forget that they can do so on the beautiful island of Malta! Aside from Maltese, English is one of the two official languages of Malta. Giving you the perfect opportunity to improve your language skills whilst visiting this incredible island. 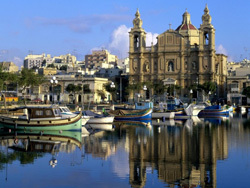 When it comes to learning English abroad, Malta is sometimes overlooked. In this post we would like to present seven reasons why it is absolutely worth taking a language course in Malta. English is always a very popular language to learn, especially as it continues to be the language of international business. It is for this reason that we offer a wide range of English language locations, including the UK, Canada, Australia and the USA. 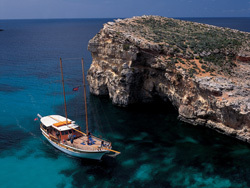 One of our most popular options is Malta and it is not hard to see why! Situated in the heart of the Mediterranean, Malta offers a unique combination of the East and the West. Many civilisations battled over this strategic small territory over the years, and all seem to have left their own visible footprints. Originally a quiet fishing village, St Julian’s has gone through major transformations: located along the seaside, St Julian’s Bay is undoubtedly one of the most attractive tourist destinations of this intriguing country and home to one of our English language schools in Malta. As Malta only gained its independence from Great Britain in 1974, English is still one of the two official languages of the country, along with the Maltese language which is a mix of Arabic, Italian, English and French. This is not the only asset of Malta; its southern location makes it an ideal place to enjoy a year-round sunny and mild weather.